China is a pretty incredible place. On a global scale, it’s often recognized as a country with a fast-growing economy and skyscrapers everywhere you look. Of course, there’s also the historical aspect. Toilet paper was invented in China – This is something we certainly take for granted. Believe it or not, it was the ancient Chinese who invented toilet paper in A.D. 851. Red symbolizes happiness in the country – Maybe you’ve attended Chinese New Year celebrations in the past. If so, do you remember seeing the color red all over the place? In China, red usually symbolizes happiness, joy, and good fortune. Now you know why red is also banned at Chinese funerals. Fortune cookies did not originate in China – It’s reasonable to associate fortune cookies with China. However, this fun delicacy actually wasn’t invented in this region. The consensus is that a Japanese immigrant in San Francisco came up with the idea for a fortune cookie. Ping pong is China’s national sport – There’s no shortage of athletic ability in China. Over the last few decades, basketball has skyrocketed in popularity. Those who follow the NBA probably recall the kind of impact Yao Ming had on those in the Far East. Nothing quite compares, though, to what China has done in ping pong. In the last few Summer Olympics, China has won every gold medal. There’s also the fact that the top five players in the world are Chinese. 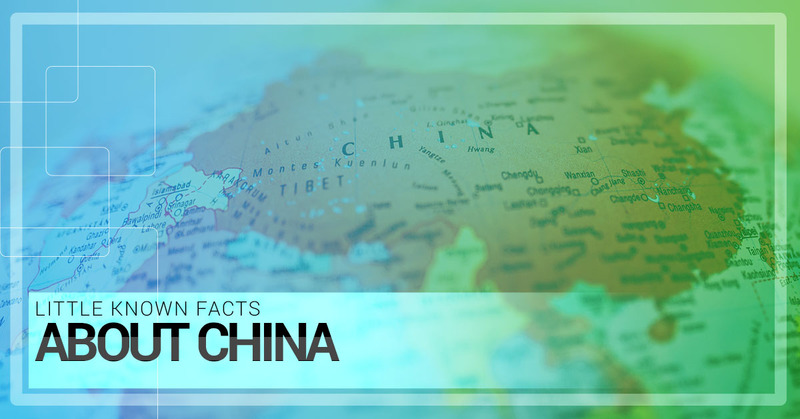 Tea was discovered in China – People have relied on tea for thousands of years. We’re not just talking about it drinking it, either. In the 10th century BC, the Chinese often used tea as medicine. Ever since, it has evolved in a number of ways. In this country, there’s also a unique culture and art that surrounds tea. The world’s largest canal is located in China – This country is home to some pretty incredible natural landmarks. The Grand Canal is the longest in the world at 1,115 miles. Be sure to check it out when you’re in Beijing. There is a chopstick museum in Shanghai – It sounds strange, but trust us when we say a visit to the museum is worth your time. Nowhere else will you find a place with 2,000 pairs of chopsticks that date back to the Tang Dynasty. Are you ready to begin your China adventure? Then turn to Top Notch ESL. For years, we have helped people get started teaching in China without a degree. Our staff meets with you via Skype, sets up an interview with a school, and then gets you squared away with a visa and living accommodations. It’s our belief that teaching abroad in China should be easy and hassle-free. So why give up or finding TEFL or ESL jobs? Top Notch ESL will find English teaching jobs in China that make the most sense for you.